Happy Friday! 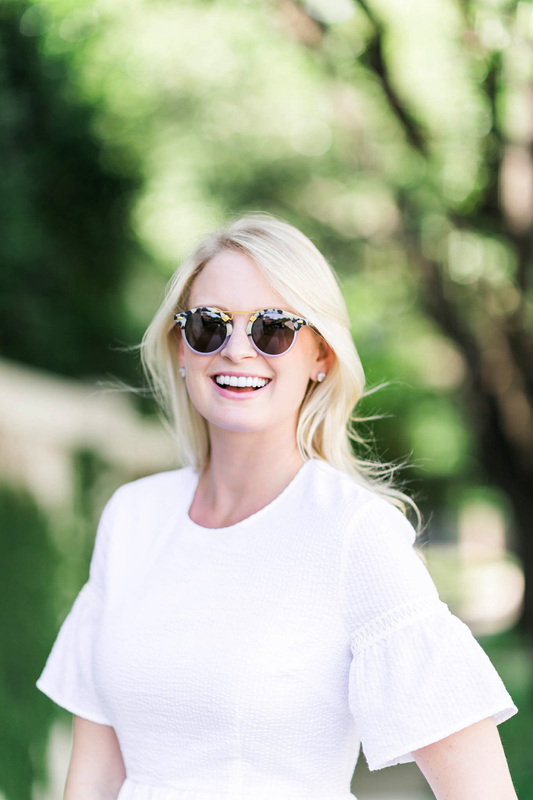 You may have seen I hosted my friend Rachel a couple weeks ago for the rewardStyle conference? She’s been one of my blogger besties practically since day one, so I loved having her in town! I don’t get to see her (or my other blogger buds Emily and Mara) very often, so we usually try to plan a girls trip or I fly out to visit if they can’t come in for the conference or if we’re not all going to New York Fashion Week. 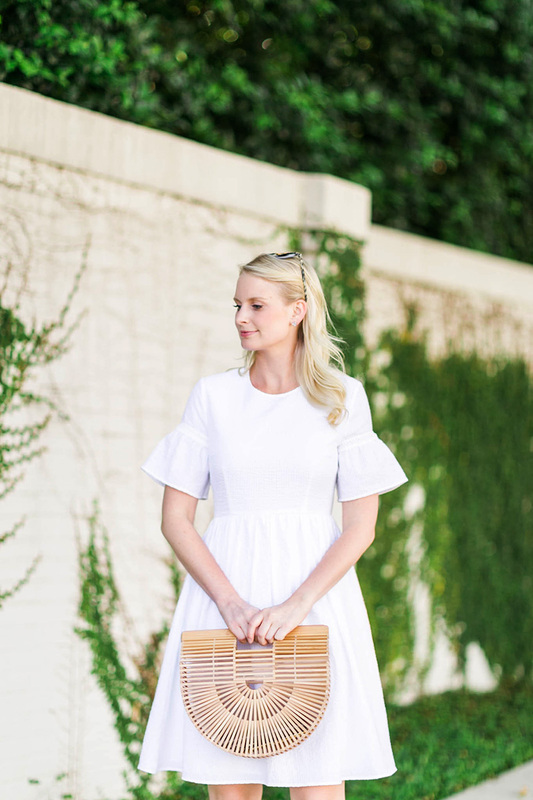 After Rachel’s visit a couple weeks ago she sent me a piece from her eponymous label, Rachel Parcell! If you aren’t familiar with her line, Rachel designed the pieces with modest silhouettes in mind, while adding her own feminine touch and take on of-the-moment trends. Follow Rachel on any of her channels and you’ll know she loves florals, pink and romantic details like lace, ruffles and the like. If you’re a girly girl, you’ll obsess over her pieces! Here are some of my other favorites that just hit the site – congrats on a fabulous line, Rach! There’s really nothing better than a casual white top with special details. Loving this bell-sleeved style! It doesn’t hurt that it’s under $70. This red + white striped dress would be so fun for the 4th of July! This soft blue number would be ideal for a summer wedding, luncheons and the like. So feminine and pretty! 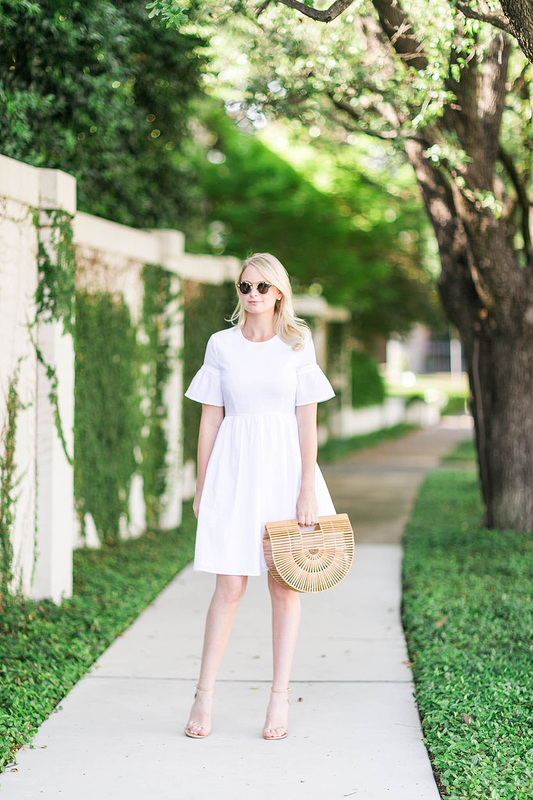 If you’re a fan of a good shirtdress, this one is a popular style and is a fabulous year-round neutral! This chic little tee features a subtle ruffle on the sleeves that could easily be styled tucked into a skirt for work, or look just as cute with jeans or shorts on the weekend! that dress is adorable on you, love it! This dress is so darling! I love it! So sweet and simple but the sleeves definitely make a subtle statement! Gorgeous! I love this simple and clean look!